Craig-y-nos Castle, on the edge of the Brecon Beacons in South Wales, was the home of the world famous opera singer, Adelina Patti. After her death in 1919, it became a tuberculosis sanatorium, mainly for children and young adults. 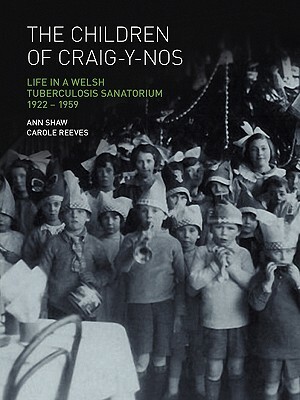 The 'Children of Craig-y-nos' project was begun in 2006 by Ann Shaw who had spent four years there from the age of nine to thirteen. The launch of her blog (www.craig-y-nos.blogspot.com) to collect the memories of ex-patients and staff was so successful that within a year over a hundred stories and 1200 photographs, mostly taken by the children themselves, had been contributed. There followed three photographic exhibitions, radio programmes, a reunion at Craig-y-nos Castle, and a Lottery grant to produce this book. But despite a romantic location, this is not a fairy tale. TB affected the whole community - physically, socially and emotionally. It was the disease never spoken about except in hushed whispers. Craig-y-nos was called a hospital but it had all the hallmarks of a prison for sick children. Even at a distance of fifty or sixty years, some people broke down when reliving deeply buried memories. Others were unable to talk at all but communicated entirely though e.mail. A few remember physical and sexual abuse by staff. Stomach wash-outs terrified toddlers. Use of restraint by tying children to cot and bed railings was justified by over-stretched staff but criticized by hospital inspectors. Even keeping five-year-olds in high-sided cots could be interpreted as a form of imprisonment. The physical isolation of Craig-y-nos was another. Only one young woman admits to successful escape although several teenagers and children made abortive bids for freedom. Although this is an historical study, TB is not a disease of history. The World Health Organization in 1993 declared TB a public health emergency. An estimated 8.8 million people were diagnosed with TB in 2005 and 1.6 million died of it. But however difficult it becomes to control tuberculosis both locally and globally, one thing is certain. Those infected will never again be isolated from the rest of society because history has shown that policing infectious diseases is neither workable nor humane.Ann Shaw was born in Crickhowell, Powys, and worked as a journalist on newspapers in London, Lancashire, Yorkshire and Edinburgh before joining the Glasgow Herald as a Feature Writer. In 1997, she enrolled as a mature student at Glasgow School of Art in order to fulfil a lifelong ambition to be an artist. She now lives in Bridge-of-Allan, Scotland.Carole Reeves is the Outreach Historian, Wellcome Trust Centre for the History of Medicine, University College London. She develops projects designed to further public interest in the history of medicine, and helps others to do so.